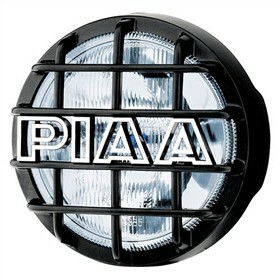 The PIAA 05402 is a 540 Series Xtreme White Driving Lamp which offers a bold design in a small package. This lamps unique mesh style lens cover offers additional protection while enhancing your vehicle's appearance. This lamp is designed with a 12 volt H3 55 watt comparable 85 watt XTRA fog bulb. Features ultra thin housing that allows for easy installation. It is designed specifically for small, mid-size trucks and SUVs. The PIAA 05402 has many exciting features for users of all types. The PIAA 05402 is sold as a Brand New Unopened Item.